Angosian escape pod used by Roga Danar in 2366. 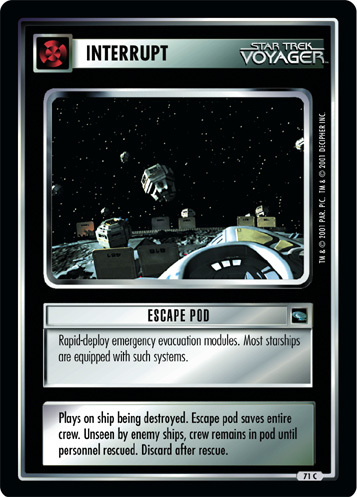 Escape pods can be used in an emergency to save a crew. Plays on ship being destroyed. 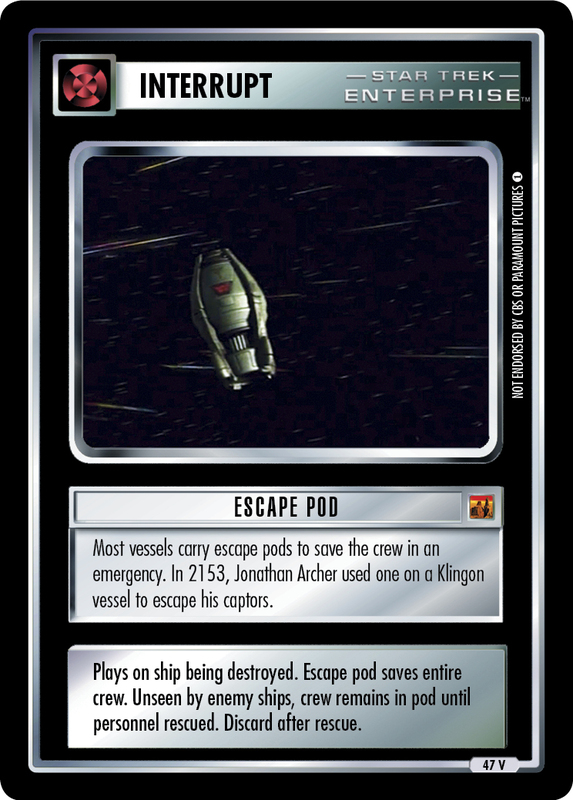 Escape pod saves entire crew. Unseen by enemy ships, crew remains in pod until personnel rescued. Discard after rescue.